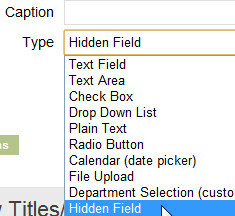 For the past few weeks, we’ve been testing a new feature in the OCC Chat Request Form called Hidden Fields. 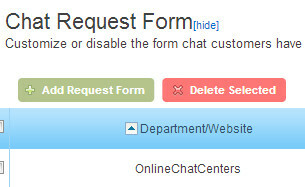 Hidden Fields allow you to pass information from your web page to the chat request information area and into the chat request form itself. Note that this is an advanced feature that will require some knowledge of web development to set up. 4. Click form fields (x) to edit the fields on the form you want to edit. 7. Next you must pass data from the website into this hidden field. For this, the data must pass through the icon code. Find in the OCC code on your website the line below. Note that the x below is your account number. You can dynamically pass any string of info in the place of “customer information” such as a customer ID, email, or phone number. Pretty much anything that is displayed or located in your code on the web page can be passed into these fields. You can also use this same method to pre-fill fields in the form that are visible to the visitor. For example, if they are logged in to your website, you can pass their name, email and phone number through the same methods and when they request a chat, they will see all 3 of these fields filled out on the chat request form! Use the same method outlined above with a different type of field, such as Text Field. This entry was posted on Monday, October 15th, 2012 at 10:34 am	and is filed under Features, News. You can follow any responses to this entry through the RSS 2.0 feed. Both comments and pings are currently closed.